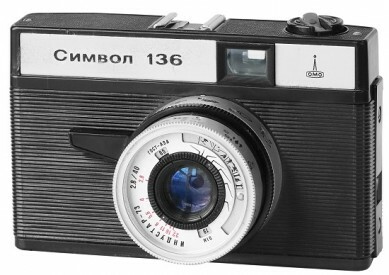 Symbol-136 prototype camera. Conceived in 1975 by famous LOMO Chief Designer Anatoliy Lakomkin. Modernized Smena Symbol camera with fast Industar-73 2.8/40mm lens, instead of regular Triplet 4/40mm. 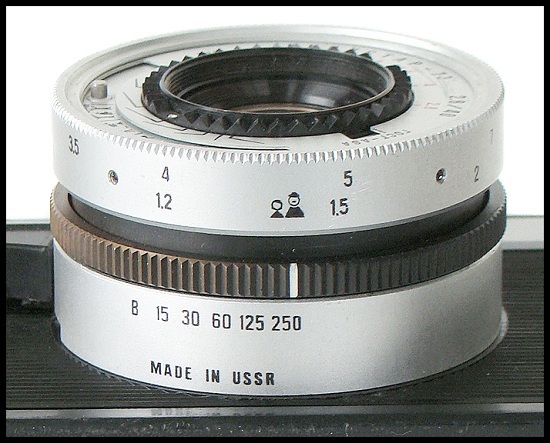 Very few Symbol-136 prototypes released in 1975 (known cameras with s/n #75000002 and #75000003). 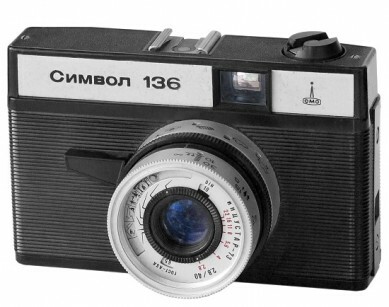 A limited batch (up to 100 copies) of this interesting camera released by LOMO in 1977. Very few samples released in 1979 under regular name Smena Symbol. An ultra rare to find nowadays. PK4100. One of the very few prototypes, released by LOMO in 1975. Serial number engraved of the bottom part of the shutter release knob (see picture below). My special thanks to the Family of †Anatoliy Ivanovich Lakomkin for giving this unique exponate to me! PK4100 - Symbol-136 prototype #75000002. Another prototype sample of the particular camera. Very few copies released in 1975 only. 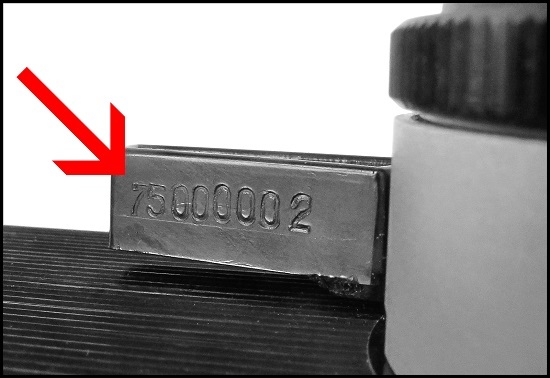 8-digits serial number with date prefix engraved of the bottom part of the shutter release knob (see picture above). 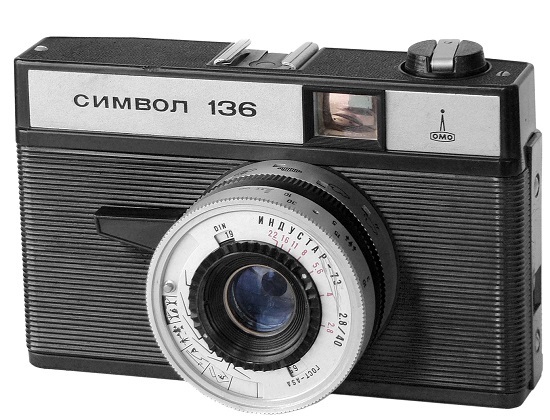 It is interesting to mention, that this design of the Symbol-136 lens was used on regular Lomo-135M (conceived by LOMO Chief Designer B. Matveev) cameras since 1980. PK4100 - Symbol-136 prototype #75000003. PK4105. Short-run preseries camera with fast Industar-73 2.8/40mm lens. Up to 100 copies released by LOMO in 1977 only. 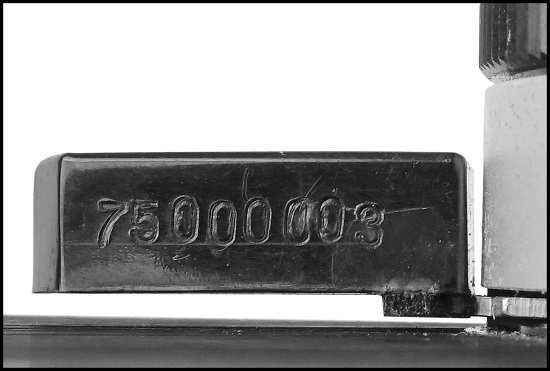 8-digits serial number with date prefix stamped on the bottom part of the rear door. Increased size of the shutter/lens! Slightly changed aperture's control on the frontplate of the lens. 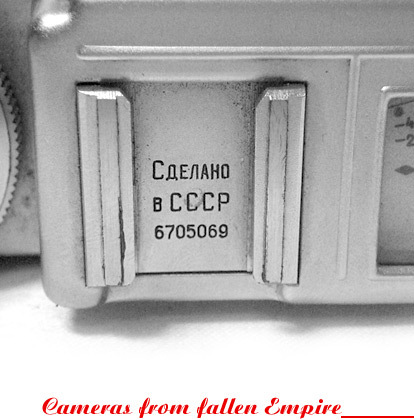 Only very few samples with s/n #77513435 (SovietCams) and #77535628 (Molotok 2011) are known to exist in collections. PK4105 - Symbol-136 preseries #77513435. PK4110. The 2nd attempt to create a modern Smena with fast lens. 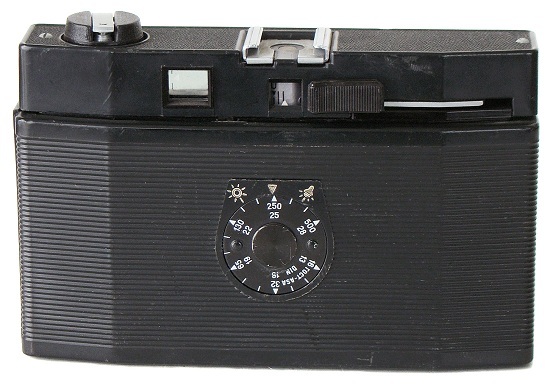 Camera under regular name "Smena Symbol", but fitted with black surface "Industar-73" 2.8/40mm lens. "Made in USSR" markings on the shutter housing (see picture below). 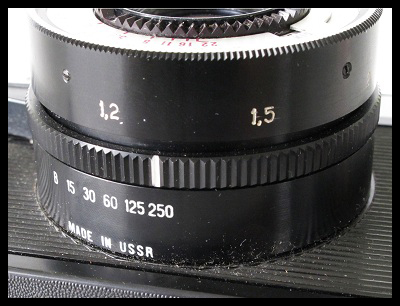 Diiferent design of the lens in comparison with mass-production "Lomo-135M" cameras. Very rare to find nowadays. 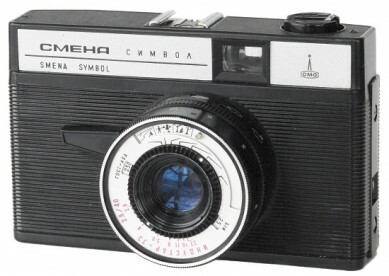 PK4110 - Smena Symbol #79015696.